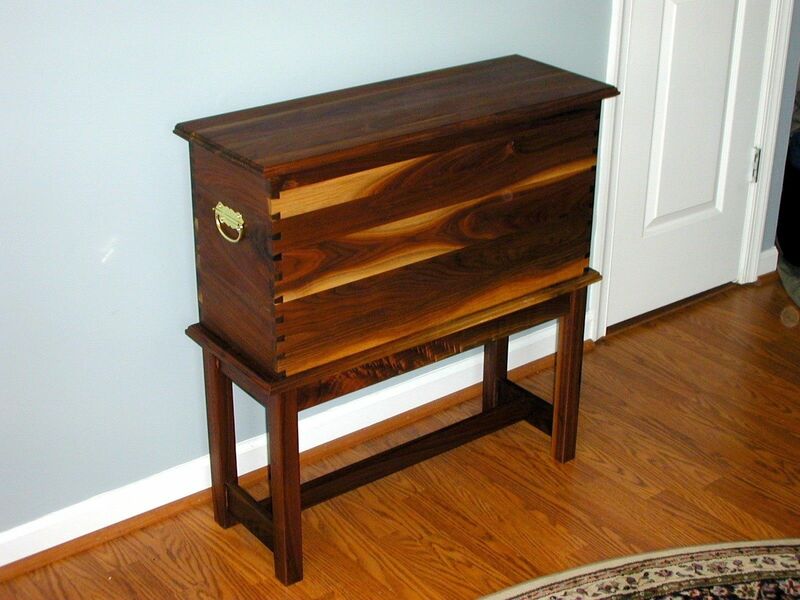 Instead of cutting out the sap, or lighter part of the walnut, this walnut storage chest is very striking with its array of both light sapwood and dark heartwood, something the customer valued and requested. 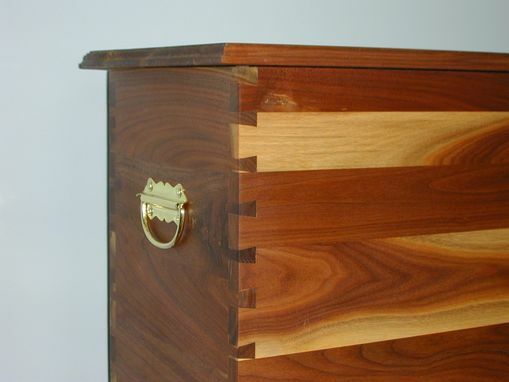 The chest was constructed by using dovetail joinery at the corners of the chest, which would ensure stability and longevity. 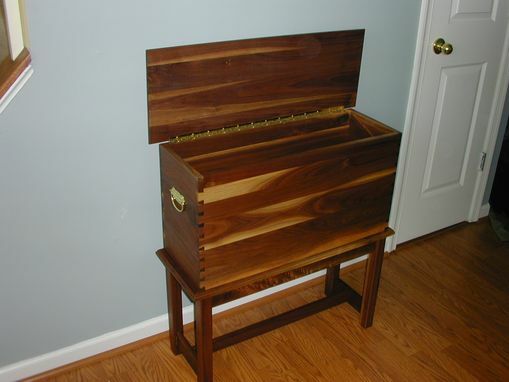 The lid is connected with a long, continuous brass hinge. Additionally, brass handles complement the brass hinge and contrasts with the dark walnut. The chest was given two (2) hand rubbed coats of a 50/50 mix of Danish wood oil and a satin finish polyurethane. The areas of the walnut grain that swirled were hand rubbed just a little more so as to bring out the design and luster of the wood. After drying, the chest was hand rubbed with a liquid wax. Dimensions: Approximately 16" deep x 30" long x 30" tall.